Q. 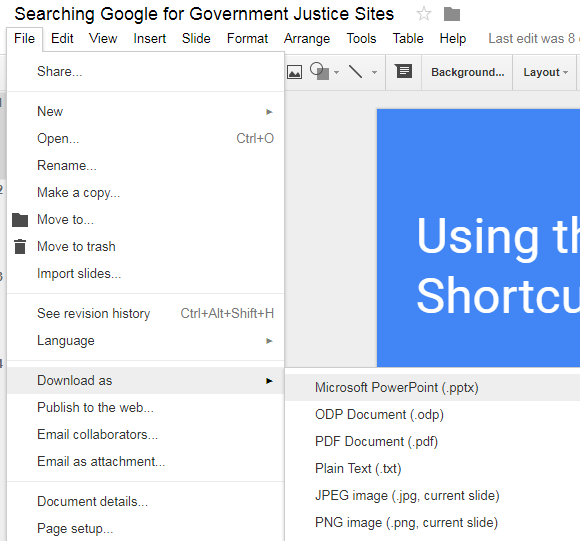 How do I download this document from Google Drive or OneDrive so that I can keep working on it? 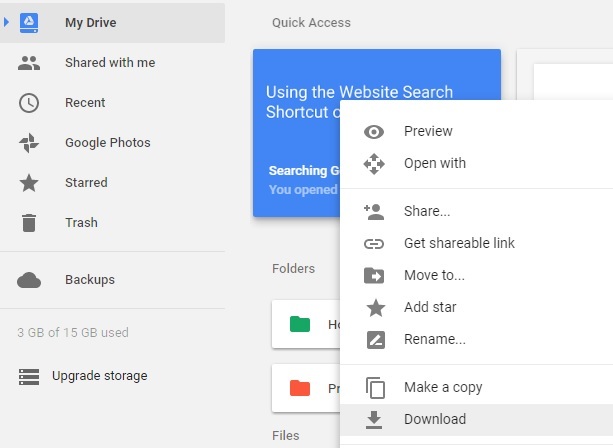 Google Drive and Microsoft OneDrive allow users to work on documents in a web browser either alone or collaboratively with other users. Both products also allow you to download those documents to use and share in multiple formats. 1. From your My Drive screen, right click on the document you’d like to save. 2. Click “Download” and the document should begin downloading at the bottom of the screen. 1. From your My Drive screen, double click on the document you’d like to save to open it. 2. Go to File in the top left corner and hover your mouse over “Download as”. 3. A new set of options will appear on the right with different file types to choose from. 4. Select the file type you’d like to download to and it should begin downloading at the bottom of your screen. 1. From your OneDrive Documents screen, right click on the document you’d like to save. 1. 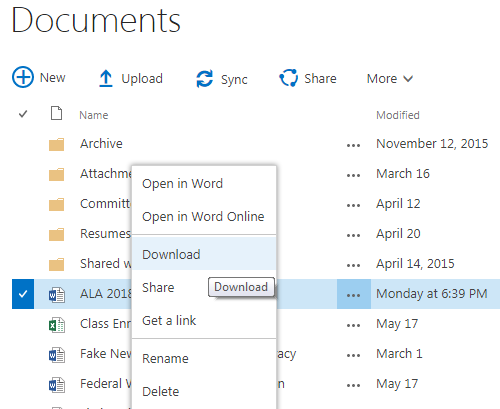 From your OneDrive screen, click on the document you’d like to save to open it. 2. Click on the three dots in the upper right corner. 3. 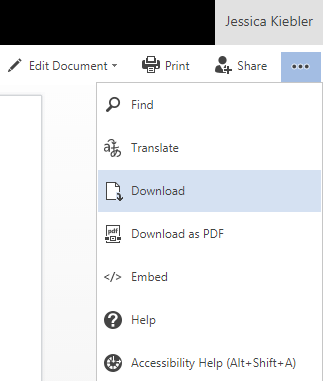 Select “Download” to download the document in whatever format it currently is in whether that’s Word, Excel or Powerpoint. 4. If the option is available and you’d like to download it as a non-editable PDF, select “Download as PDF”. For more information, see screenshots or links below on downloading from OneDrive.